Check out the tremendously insightful answers from Alex all this week! New answers will be posted daily. NOTE: Due to Alex’s travel schedule for the German Grand Prix, there will be no answers posted on Thursday. The remaining answers will be posted on Friday. 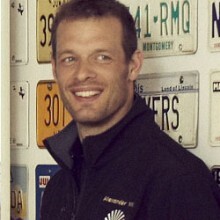 Former F1 driver Alex Wurz has enjoyed a motor sports career spanning over 20 years and shows no signs of slowing down. In addition to being a factory driver for Toyota Racing in the FIA World Endurance Championship, Wurz is currently a Driver Mentor for the Williams F1 team whose driver Pastor Maldonado recently claimed his first Grand Prix win. He is also heavily involved in developing the grass roots of the sport as Performance Manager for the FIA Institute Young Driver Excellence Academy, a global program that helps young drivers develop their careers whilst increasing safety skills and actively promoting the principles of fairness and responsibility. His diverse career began on two wheels as a World BMX Champion, and he continued to claim championships in Formula Ford and Formula 3 as he rose to the pinnacle of the sport. 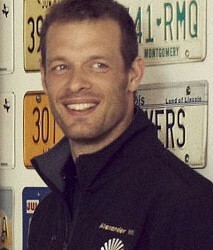 In addition to his open-wheel success, Wurz has garnered similar achievements in sports cars and has twice won the world’s most famous endurance race – the 24 Hours of Le Mans. Alex Wurz answers your questions! All factors are important to work on as a new/progressing racing driver such as fitness and media skills. Are there any that are particularly important and what can be done to improve them? If there is one thing that is most important to becoming a professional driver, I would say it’s talent of course. However, we have seen many times that pure talent is not enough to make a professional career in racing. So, one has to work on all areas to succeed in such a very competitive environment. And in order to improve and work on the various skills, you first need to understand where you stand. What are your weak points? Where is your strength and how is your overall situation? You could make a list and a diagram for yourself of all the aspects which are important for a race driver, from fitness to lifestyle and all other important aspects. Then go and see where you can find help. Go and visit a seminar about speaking in public; learn how to make presentations and proposals to impress teams and sponsors; make sure your nutrition is planned and your hydration level is spot on; make sure your fitness level is at least one step higher than your category requires it. To improve requires effort, but not wild and uncoordinated effort. Be smart. Make a career plan and a diagram of your skill levels – where you think you are and where you think you should be. The rest is dedication. A perfect place to improve is the FIA Institute Young Driver Academy. So if you are in the correct age group, you should go and contact your ASN and see if you could get into this programme. I know this question has been asked to drivers in the past on Safe is Fast, but I think it is a good one. After looking back on your career, what do you feel is the most important piece of advice you would give a young driver? Thank you. It’s not a single piece of advice from a guy like me that will make you reach the top of racing. It’s simply just you and yourself who is responsible to make it. It is the constant and ongoing drive to succeed, the hunger to do it better than the others and the will to work on all aspects – to work on yourself, be self critical and always look for potential improvements. Do you use sim racing at the Academy and do you feel sim racing has any added benefit to improving one’s road safety skills? We don’t use simulators at the FIA Institute Academy. We are not trainers of the drivers. We explain to the drivers what driving is about, the underlying laws of physics and vehicle dynamics. It is down to the drivers to apply this knowledge and translate it into better performance. This is a very different way of coaching and teaching someone. I don’t like to dictate how it must be done. I prefer to show what is behind it – show the options and reasons – and then work it out together with the driver. We achieve a much more sustainable and long-term orientated effect this way. Regarding road safety, it needs to be said that no skill level training and skill-orientated driver training has any positive effect on the road. In fact, “skill-orientated driver training” on the simulator can have more negative effects. To improve road safety and better behavior on the road, one must undergo “behavior-orientated driver training.” And there is a fundamental difference in skill or behavior-orientated driver training. The way to make our roads safer is to change people’s behavior and not by improving their skill levels – a fundamental difference in the way one conducts such driver trainings. For example, in Austria, Switzerland and Luxembourg there is a law which makes it mandatory for every novice driver to conduct a driver training course. The legal framework sets the standard of the trainer and training facility quality. This programme has shown great success in reducing accidents among young drivers, especially single young male drivers who are the highest risk group out on the road. We race drivers have to be good ambassadors to the young generation. Just because we can drive a car fast, doesn’t mean we are good drivers on the road! We should be the ones telling people that we always drive with the seatbelt on, fully focused and concentrating. No mobile phone, no alcohol or drugs; respecting the rules and others and driving sensible and cautious. We all have to be aware that on the road we can only lose, sometimes paying the highest price with losing our life, or worse, killing someone else with reckless driving. Nothing to win on the road! On the racetrack, if we drive fast and make an aggressive move and win the race, we are the winners. We earn glory, get money and trophies. Not on the road; there one can just lose. Hi Alex. My question is what did you do to set yourself apart from other drivers when you were starting out, other than your talent on the track? It was in the ability to communicate technical information, and in fitness. The ability to understand what is happening with a car when driving it at its limit, the understanding of vehicle dynamics and how, as driver, I can influence it or, equally, understand if the setup or construction is wrong – to analyze it. This was a big help for all the good contracts I have had over the years. One has to be very open with you to separate between driver-made setup balance issues or real technical-related balance issues. If you know what your driving input causes as a reaction of the vehicle, you can filter your driving inputs out and analyze much better and more efficiently what are the car’s setup and balance issues. Hence, you are able to give better feedback and develop the car better than the others. When I speak about fitness, I was always very fit and I trained a lot. At my first ever F1 test, I had two days of testing in Estoril, one of the most physically-challenging race tracks. I did 80 laps each day and had no issues with my neck or my concentration. This test was a shootout test and my competitors could only drive a handful of laps at the time. For them it was much harder to learn because they didn’t have the physical stamina to do so many laps and, of course, one learns a lot each lap in an F1 car. So I was the fastest and got the contract. In this case it was a very clear example that training gave me an advantage. And you know what? Training doesn’t cost any money; just effort! With the benefit of hindsight, do you believe you were adequately experienced when you made your debut in F1? Is it important to try to move as quickly as possible up the racing ladder? I had quite an unusual way to F1, but I keep saying to all young drivers who ask me to not rush to climb up too fast on the racing career ladder. Of course, if you have a sponsor who wants you to move up a category, well you have to consider pleasing his interest. But, if at all possible, stay longer in the lower categories so you have time to learn and time to grow up. The task in top level motorsport is not only about handling a more powerful vehicle, it is about finding your true way in the political driven and complex world of motor racing. In my opinion, the more grown up you are, the better. At the same time, I advise young drivers to go there where they find the highest competition. Don’t shy away from competition, look for it as good competitors make you a better driver, too. How and why did you come to be involved in the FIA Institute Young Driver Excellence Academy? It was during a workshop of the FIA Institute when I was listening to a speech of someone from the NFL. They talked about a social safety net for their Super Bowl players and I said to myself that we need something like that in racing. After various discussions, this led to a suggestion to the FIA Foundation to host young driver trainings with an additional service. Somehow this was the starting point of the Academy. The framework was developed by the FIA Institute and fine-tuned with some key figures. The Academy is going about driver training in a slightly different way to most other talent schools. For example, during the workshops the students will learn about the fundamental aspects of vehicle dynamics. We will educate them in underlying laws of physics, chemistry and all of the relevant information one needs to be a complete race driver. To cross the bridge to the social responsibility, the drivers will become state-of-the-art certified as road safety ambassadors. This will not only make them greater assets to the sport, but will also be their security in case they don’t make it in racing. With such education, they will be perfectly equipped to join companies and manufacturers as road safety instructors – holding road safety trainings, holding events and incentives or becoming test drivers for car manufacturers, television shows and magazines. In case they fail to make it in the sport, they will be able to stay in the motoring industry and make a living by use of their talent and the comprehensive education they will have received within the Young Driver Academy. For the future of the sport, how important are the differing hybrid technologies that are currently being used in sports car racing? Do you think sports car racing is now eclipsing F1 as the pinnacle of technology? In terms of show and fan base, F1 is hard to beat on a global level. In the U.S., NASCAR is super popular. Both series are well-promoted and this is the real key to the popularity of this sport. With sports cars you have more technology allowed than in F1. The KERS in F1 is very small in its energy recovery compared to our Toyota hybrid system in the Toyota Le Mans car. So yes, in technology sports cars might be more advanced, but it will not eclipse Formula 1. There is space for more than one top racing series and Le Mans offers a great playing field for new technologies. Now it’s the big capacity hybrid systems. Recently it was diesel technology. Le Mans provides opportunities for manufacturers to showcase their technologies. It seems I hear a number of conflicting philosophies on braking techniques among amateur sports car racers. Could you briefly describe your main technical approaches to braking for corners of different speeds? For example, deciding whether you trail brake, late brake or touch the brakes to settle the car, etc. It is impossible to give you one answer. Each car, each tyre, each corner might require a different braking method. Braking methods are something which should not be fixed, as during a race one might have to change the braking method. The brakes are extremely important for the car’s balance, so depending upon what balance you like to have by the turn-in or mid corner, you can change your braking style and brake balance. For example, if you are racing with high tyre degradation on the rear, you will change your driving line so you will need to change your braking method. Personally I like to trail brake. As I come off the brake it needs to be timed with turning in. I turn in usually very smooth and come off the brake progressively and coordinate that with the steering and weight transfer of the car – basically making sure that at all times of the braking and cornering I use the maximum possible force the tyre can transmit! If my car would be nervous on turn-in, I would keep the brake pressure a little longer and move the brake balance a bit forward, so I overload the front tyre and with that I protect/help the rear at the turn-in area. However if you do this, you need to come off the brakes very gently. Otherwise you might create an oversteer at the moment when you come off the brakes when the front tyre is freed of the braking force and has full lateral steering force available instantly. That might cause a sudden oversteer as your front tyre will steer the car and if the rear is still not stable at this point, oversteer is logical…. Well, maybe it gets too complicated now but bottom line, a tyre can transmit a certain amount of forces and you have four tyres. Two of them can steer and four of them can brake so the best braking method is a question of how the rest of the corner looks. I am afraid there is no easy answer. Alex, how do you mentally prepare yourself a few days before a race? The best way I found is to prepare and plan everything which you can plan and prepare for. Leave nothing to chance, so that way you have more mental capacity to process the things you can’t plan for. This way I feel the most relaxed and, in this mental state of mind, I function the best. I will focus on my nutrition, my hydration, prepare mentally and have all my bags ready packed in time. I make an itinerary about my travel and make sure I have everything I need with me. I make sure that technically I am on the latest level with my engineer. Then you can just trust your talent and enjoy watching others in total calmness when they are stressed because they’re not well prepared. And the night before the event I just tell myself the only thing which I can do now to help me is to sleep well. No more thoughts needed. I trust my talent and I have done my homework, so the only thing left is a good night’s sleep…. My son Alex, 13, has been kart racing on dirt ovals for the last five years. Last October, he was t-boned by two karts simultaneously but suffered no injuries. Unfortunately, he can no longer stay in a pack of karts without disengaging. His self confidence level has spiraled downward. He has raced three times with the same results of disengaging. I showed him a video and he finally said he was feeling intimidated in packs. Do you have any advice on how to boost his morale and regain his confidence? I am afraid that I cannot give you an easy trick via an online Q&A. The crash was obviously a big event for your son and he suffered a trauma which he has not overcome. My son had a similar thing. He was younger, but had an accident on an electric trail bike. He was so good before the crash and it took one year until he wanted to touch his bike again. Now two years after he is still extremely cautious when riding it. He was 5 when his accident happened so we didn’t go and ask for psychiatrist help, but this is maybe something I would consider if it happened to him if he was racing. For someone who knows how to help kids to lose fears it might be very easy, but for me in the distance it’s pretty hard to help other then suggest you find someone closer to your home. Maybe you should discuss this with your son gently and maybe he would like to speak about it, but alone it might be very hard to overcome his intimidation. He is pretty strong already in telling you that he feels intimidated! I hope this answer is not too personal, as in different cultures sometimes people get offended when you recommend getting professional help. Alex, I know you are a big proponent on road safely both through the FIA Academy and your own Test & Training International program. My son is approaching the legal driving age. How best should I prepare him for this step? The best preparation for your son is to provide possibilities for him to gain as much experience as possible in a safe driving environment. From research we know that age and driving experience are the most important safety factors. While we can’t do anything about the age (or brain development to be more precise, or risk perception to be even more precise :-)), we can do something about the experience. In many countries, accompanied driving immediately before/after the driving test is legally possible and has shown to be effective. So, if such a programme is possible also in your country, go for it! Your son should experience as much mileage as possible. A rule of thumb is that novice drivers drive about 3000km to settle first (safe) behaviours. Also build up and talk with him about the meaning of hazardous driving, common human driving errors and the meaning of emotions while driving. All these factors can have a massive influence on behaviour and are safety relevant. Make road safety a topic to discuss with your youngster but show a good example too. Let’s not forget that the highest cause of death among 18 to 23 year olds worldwide is in traffic accidents. It’s an epidemic and the numbers are globally growing, so it’s extremely serious, and tragic things can happen to us or our kids! There have been many different programs around the world aimed at trying to stop the “epidemic” of people using cell phones while they drive on the road, yet none of them seem to be making much difference. Do you have any ideas about how to make these programs more effective? 1) Programs fail to make drivers more aware of the dangers of mobile phone use (and other distractive activities) and/or they don’t lead to improved behaviour. One important factor here is WHEN drivers are confronted with this topic. The first year is usually the most dangerous time of a novice driver on the roads. Generally, one can assume that the earlier they know facts about the topic the earlier behaviour can be changed! For example, the dangers of cell phone use is a topic of the successful second phase education in Austria which (also) confronts novice drivers in their first months of driving with this topic. 2) Mobile phone use still is considered as a relatively trivial offense and often not part of a real “safety culture” in a country or organisation. Therefore, governments/companies should be encouraged to impose a complete ban on the use of mobile phones while driving. 3) Mobile phone use is hard to enforce, hence cell phone use is hardly detected which has an influence on behaviour – if it is not enforced, it won’t be detected hence behaviour won’t be adapted. 4) Only a minority of vehicles include a system for handsfree driving – Human-Machine Interface. This is especially true for novice drivers driving older vehicles where a car-integrated phone is not present. However, even handsfree communication is still dangerous, especially when talking about an emotionally disturbing topic. How do you perform the ultimate qualifying lap? When it comes to qualifying, I tend to struggle to get the best out of my car over one lap. Is there something mental or a setup tweak that would help? Thanks. I did ask myself the same question many times Ethan, so I have given it a lot of thought. In working with some other drivers, it is interesting to see how different drivers handle qualifying. I am afraid there is no clear answer to your question. Some of us struggle with the pressure we put on ourselves to make the perfect lap, some overdrive – actually quite a lot of us. You need to ask yourself if you tend to overdrive or if you are under mental stress (from inside yourself or outside) and you struggle to progress due to the pressure. If you overdrive you need to understand that and edge off in aggression to stop doing so.If your mind is clouded from pressure and nervousness, you need to work on that because that way you are not able to find the limit. It numbs your sensors and you will not drive well. In any case, I found the best compromise is to only focus on the tyres and to feel the grip of the tyres. On the out lap, establish how much grip you feel and then take every corner by corner like a task to manage. If you feel in Turn 1 that the tyre was not ready, process this information until Turn 2 and adjust your driving. And so on. Don’t see qualifying as the ultimate showdown; see it as opportunity to have new tyres, low fuel and extract the maximum out of the car. You should only focus on what the car and tyres need. Once you are on the out lap, you should know how much grip there is. Because you trust your talent, you will then decide where to brake for Turn 1, and from there it’s a continuous assessment of the grip level…. This way the focus shall drift to where it should be – at the doing, and not at what you must do! Noting your involvement in the FIA Institute Young Driver Excellence Academy (IYDEA), will a driver who is over 21 years old and drives in Indy Lights be able to apply for the FIA IYDEA if his/her goal is to compete in F1? Yes, you can apply. You must speak to your National Sporting Authority (ASN). Your ASN needs to nominate you and once your nomination is confirmed and submitted by your ASN, the FIA Institute will look at the applications and you enter the selection process. There is no date yet for the next nomination and application process, but best you stay in contact with your ASN and follow the FIA Institute website and their Twitter feed as they will announce it for sure. It’s a great programme which has raised the bar of young driver education a long way! But note this may change slightly for next year. Our college team is preparing to participate in the Formula Student competitions but we are seriously lacking driving experience in this format. Given my limited experience with karts, how should I go about preparing myself for this event and what are the things we should focus on while setting up the car? 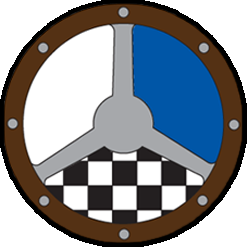 I know little about the Formula Student competition and about your education level and the task you are facing. I think if you lack experience, you need to overcome this issue by bringing in someone who has experience or at least has done some research. I am sure on the web you find some chat rooms and information which helps you to find answers. From your question I assume that part of the task will require to drive in a kart. If possible, go and drive a kart beforehand. If you drive the kart on a higher grip level surface, you need to be aware of the steering forces and that it can be very physical. Talking about the set up and vehicle dynamics of a kart, you need to know that a kart has a very strange construction. Due to its stiff rear axle, the frame needs to twist and basically lift the rear inside wheel to be able to steer. With the track and tyre pressures and other adjustable stuff, you can change the balance of the kart. It’s using leverage to twist the frame more or less, depending what you need. So, depending upon which chassis you use on which track and the grip level, different setups will work. I am 21 years old and the only racing experience I have is indoor karting. I want to race professionally, but I’m confused on where to start. Should I start in karts or cars? To become a professional race driver is not easy. At 21 and with indoor karting experience only, you are quite late to be honest. However, nothing is impossible. You need to investigate the most economical way to go racing. I don’t know if you have any budget for pursuing a racing career as the entry into racing will cost some money I am afraid. Maybe a small single-seater series or arrive-and-drive touring car series near you would have cheaper deals to enter the racing world. Some countries and sponsors host talent finding competitions so maybe keep watching on the web about such programmes. About 95% of modern race drivers start with karting. When you think you are driving a certain track reasonably well (brake points, early acceleration, etc. ), what do you do to gain those extra tenths? Where do you start looking for a bit more? If you feel at each and every corner, at every meter of the corners, that at least one end of your car is sliding then you know that you are pretty close to the limit. This doesn’t mean you are fast, but at least you are asking your equipment to perform somewhere near its limit. So only once you can say that, from ever meter of the track, you have a starting point. After comes the hard work of optimizing your driver inputs (steering, brake, throttle applications) to get the best out of the car and the tyres and optimizing it for each meter of each corner. This is an endless process and, to be honest, there are very few times in a racing driver’s life that we can say that we absolutely totally nailed it 100% at each centimeter of the track. At one point on a race track the driver will speak about the car’s balance, hence understeer or oversteer. At this point you need to ask yourself and analyze your own driving inputs because a car is basically only doing what you ask it to do. Of course, there is a given balance a car has due to its design and set up, but we assume that modern race cars are pretty close to a decent set up. Many times it’s the driver who causes the balance issue. If you brake too hard for too long and steer at the same time, of course you will have understeer because you ask the tyres to deliver something which is well above their capacity. For example, if you do the downshift exactly when you ask the maximum lateral load of the rear tyres, of course it will go over its capacity and slide and have oversteer. If you steer a tyre above its slip angle, and keep this “too much steering”, of course you stress the tyre unnecessarily and it understeers. So bottom line, before talking about the set up, ask yourself if your own driver inputs cause the balance issue. If you have no balance issues and no sliding, well, you are most definitely below the limit and need to work on it. That is also the case if you have a slide in one part of the corner only. That doesn’t mean you are on the limit throughout the entire corner. Work on it so you can honestly say that for each meter of the track you are close to the limit (and aware where the limit is). Then you are most certainly on a winning road! In the end it’s quite simple: The tyres are the only connection to the ground and you have four tyres. The driver who is most of the time with his four wheels on the optimum slip angle of his tyres is the driver who will win. Easily said, not that easily done! Mr. Wurz, you have always been known as a driver with great technical feedback who understands the mechanical/engineering aspects. I read in one of Jenson Button’s answers that he felt it hurt him a bit to not understand a car mechanically in his first two years in Formula One. This is a big focus for me as a young driver. How do I go about starting to improve in this area? Jimmie, one cannot know enough about physics, vehicle dynamics, tyres and the mechanical design of a race car. However, I think there are two bigger things to focus on as driver. 1) Driving: Most important is obviously to focus on the biggest task – it’s driving and driving alone. Not many drivers can multitask and drive per instinct whilst at the same time analyzing what is actually happening. If one can drive per instinct and kind of watch yourself and what your driving inputs are and at the same time analyze what you feel and the car reactions, that’s when it becomes top-end development driver level. If one knows a lot and constantly takes the mind into engineering the car, but by doing so is not getting the best out of it, it’s not good at all. 2) Communication skills: Maybe more important than hard fact engineering know-how, is communication skills. It is a skill to explain to the engineer and technicians exactly what’s happening and doing it in a way that they understand what you feel. Engineers work in a factual thinking pattern; drivers in feeling. That’s like the difference between the Chinese and Russian language, so a massive skill for a driver is explaining in a short and factual style to a engineer what is happening. Short and factual are the keys. And you can only do that if you know what’s happening in the car. So as driver you must train to observe and do a constant assessment of what you are doing. Only then you can explain efficiently. But yes, collect as much technical info as you can, but don’t overload your brain and focus whilst driving. Could you please explain your responsibilities as a Driver Mentor for Williams? A glimpse into this role at the top level would be appreciated, particularly for those of us that are driver coaches. Thank you. The answer could fill a book but in short words, being a driver mentor for a top-end driver is quite a different task than coaching a young driver. First of all, I will separate between two major areas, which are mental and technical aspects. The mental aspect is very complex to explain because we are all unique and different. We have all grown up in different cultures and in very different ways, so our hard wiring of the brain is unique. Our actions and reactions, conscious or subconscious decisions will all be different. It also changes each day depending on the mindset of the individual at the exact time. So, to be in a position to coach someone mentally is a delicate task. It requires trust and, as a coach, a gentle approach. What works for one, doesn’t work for someone else. And the coach and the athlete should find together ways and methods to get the best out of the athlete. I explain to my drivers different ways of mental preparation, and also physical preparation, and they should choose the way which seems most suitable to them. Over time, this creates a unique relationship between us and builds up our own model. Mental coaching takes trust and time. Different is technical mentoring, which is much more facts and process driven and hence can apply for a broader mass. My work with the Williams’ drivers is mostly technical related (~70%), but one cannot draw a line. In order to process what is going on with the car, their mind must be clear and sharp. So at first you must make sure that the quality of collected information from the car by the driver is good quality, and then we look to give clear and focused feedback to the engineers. It depends if we are testing, where its more about testing things back-to-back and one has more time to explain in detail. It’s a different approach if you need a quick setup fix for your next qualifying run, where the feedback must be extremely sharp, clear and short. Different situations require different styles of feedback. My job is to observe this process and intervene instantly if I think it is important, or after the weekend when it’s something for a longer term learning process. I do not believe in old-school coaching where one tells and dictates to the athlete you must do it this way, or driving related where you must take this line. That’s old school training, but not proper coaching. Maybe it has short time gains, but sustainable effects will be achieved by explaining to the driver in enough detail that he can process the reason behind taking this line or the reason why his car has snap oversteer, so he can go and process this information and learn from it. The coaching for driving alone is also interesting. With the FIA Institute Young Driver Academy, we did not complete a single lap on a race track for a full year. It was single corners or a section at the maximum. I am not their trainer, I coach, and that means they drive a corner and we talk about it. I explain the vehicle dynamics, the underlying laws of physics, and they go back out and do it again. Hopefully, they do it better and by the end they can explain to me what had happened on each of the four wheels in full detail. So, one corner can become a very long discussion. Sorry, I threw quite a few things at you. I could talk about mentoring and coaching forever, but I leave it with this for now. What is the best advice you can give someone who is moving from going fast on track days to actually racing other drivers? “To finish first, first you have to finish” I find quite good advice. Of course it’s too generic, but so true. If you race someone, you need to be able to drive your own car, even at wrong lines, totally automatic. Its hard to fight someone when you are in a mental stress about your own driving or car. Why? because to fight someone you need to actually think more about them then yourself. You need to think what the other guy(s) see, what their position is, and from this you can assess your own plan of action. Of course that has to happen within a split second. In order to assess in a quick time and in a reliable way, you need to be sharp and focused so fitness and mindset are coming into play. Obviously it is most important to have respect and understand that racing is dangerous, and racing is not a question of live and let die! We can race hard, but within certain limits – please! First lesson is “how to defend.” Defending well is something which should not be brutal and should not endanger the opposition at all. No, a defending move should be very precise and send a clear message to the other guy – like “I have chosen the inside for the next corner” so it’s clear to the other guy that he only has the outside line. Once you send the clear signal, usually you limit the option for the other driver so you have less variables and possible scenarios in your fight for position. Equally important is to realize when you have lost a fight. It’s not a weakness to lose a fight, as long as you don’t lose the race. So if someone makes a move, and he did a good move, you must realize when to back out of it to avoid a collision and a possible DNF (did not finish)…. I still talk about defending because once you know how to defend fair, well and good, the overtaking becomes easy! Anything else than rational thinking during a fight would be emotional, which is like playing at a casino. Could work, could not. Staying calm, focused and acting rational increases your chance of finishing! There has been a lot of discussion recently about “blocking” – especially in F1. What is your opinion on what is acceptable and what isn’t? I have raced the Formula Ford Festival and the director of the event was very clear about defensive driving. The guy in front, when he recognizes that the attacking driver will launch an attack, has one opportunity to defend. He shall do that before the attacking driver is choosing his side of attack and he shall do that well before any part of the vehicles are side by side by the slightest. This is one change of direction and that is all one should be allowed to do. What is unacceptable is when one guy pushes another driver into a wall or even onto the grass when he is already side by side. In this case the defending driver left enough space for the attacking driver to go side by side, and he has to live with the consequences of not covering the space clearly enough. He must accept that he left space and he should be penalized severely if he keeps pushing the other driver into a wall or off the track! That would not be racing; that would be playing with someone’s life in my view. Changing line under braking is extremely dangerous and shall be a total NO-NO !